The admissions policy for Talbot (2020-21) will be under consultation from Monday 19 November 2018 to Wednesday 9 January 2019. The proposed policy can be found on our website. 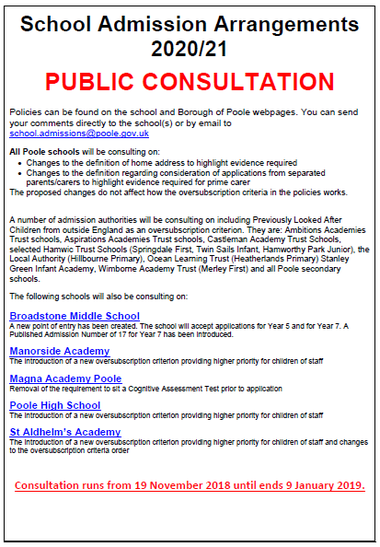 If you have any questions, please email them to school@talbot.poole.sch.uk.